The Four Seasons Hotel in Georgetown in Washington, D.C.
WASHINGTON, D.C. (WLS) -- The king of Saudi Arabia visits the White House Friday for the first time since taking the throne this year. President Barack Obama is hoping to reassure King Salman that the nuclear deal with Iran will help ease tensions in the Middle East. 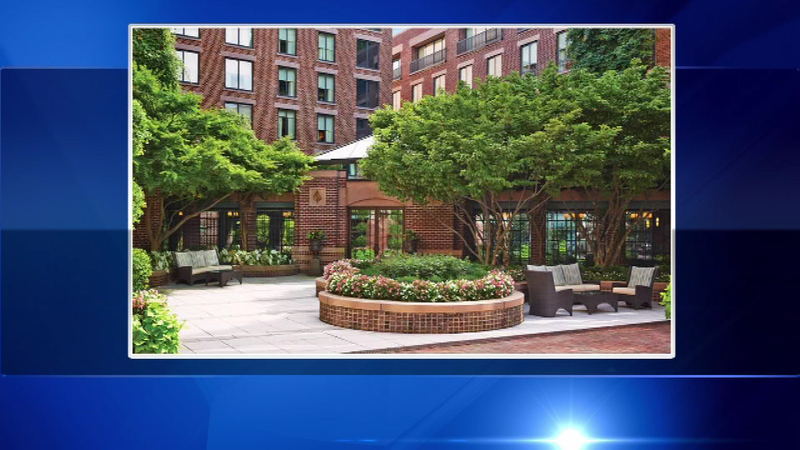 While the Saudi King is in Washington, D.C., his entourage and he will call the Four Seasons Hotel in Georgetown home. The royal family bought out the entire hotel. The hotel brought in golden furniture of all kinds. In addition, red carpets have been laid throughout the hotel - even in the parking garage.